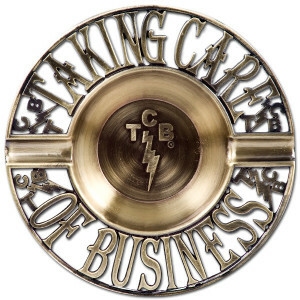 This brass ashtray features "Taking Care of Business" engraved around the rim with TCB symbols. 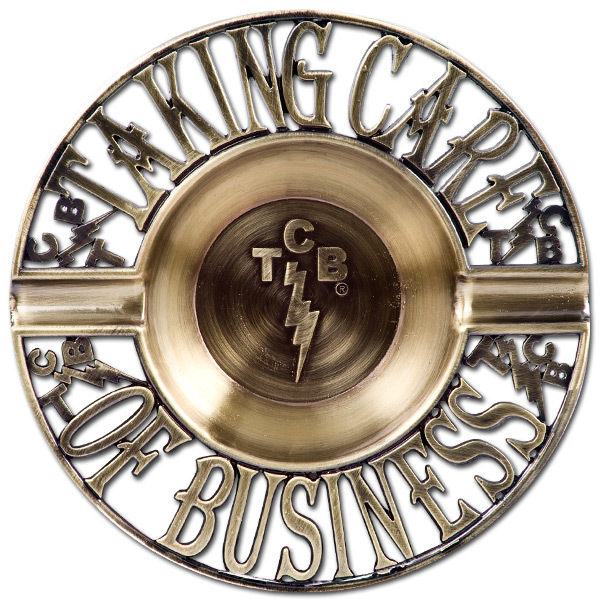 Measures approximately 5" across. Although i don't smoke, I like the ashtray, it's design and look. I purchased 2 and found one has a darker polish finish, especially at the base. Very nice ashtray.. Very impressed with it.